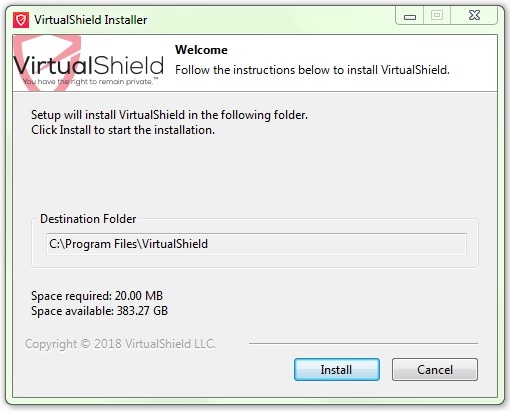 This article will guide you through the simple process of downloading and installing VirtualShield on your Windows computer. Note: Compatible with Microsoft Windows 7 and above. If your system is not supported, you can install one of our browser extensions instead. 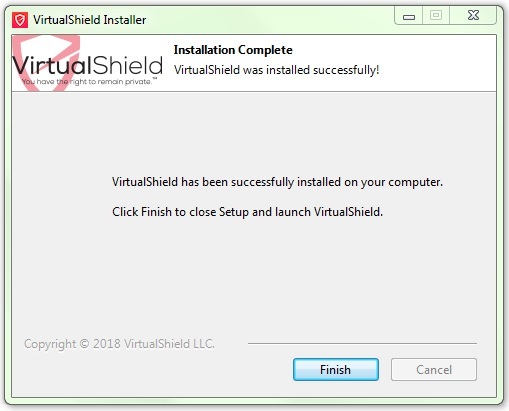 Next, open/run the VirtualShieldSetup.exe file you just downloaded. It should be located in your Downloads folder. Your system may display a prompt asking if you want to allow this app to make changes to your computer. Click Yes. 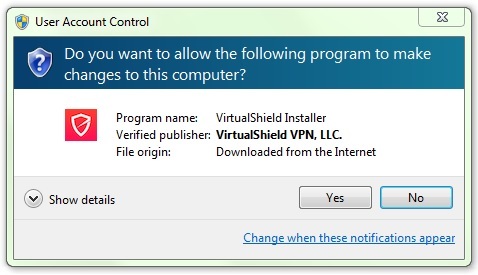 The VirtualShield Setup Wizard will now launch in a new window. Click Install to start the installation process. The wizard will now complete the installation. Please do not attempt to close the Setup Wizard during this process. You're all set! 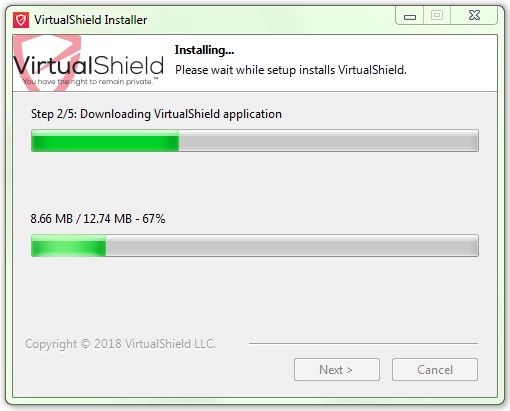 You can now open the VirtualShield application from the icon on your Desktop or Start Menu and log in to connect to our secure network. For more help with logging in and connecting, please see our Getting Started: Windows App article.